The circular asked banks to either resolve or file for insolvency taking away their discretion to not to act on bad loans. The circular asked banks to either resolve or file for insolvency. Reference under IBC will be done on case specific basis and with authorisation of Centre. All consequential proceedings including IBC proceedings are also quashed. NEW DELHI: The Supreme Court struck down a Reserve Bank of India (RBI) circular that gave defaulting companies 180 days to agree on a resolution plan with lenders or be taken to bankruptcy court to recover debt of Rs 2,000 crore and above. The bench said the February 12, 2018, circular was beyond the scope of the RBI’s powers. The court’s decision restored the discretion of banks on debt resolution. The ruling may affect stressed assets worth around Rs 2.2 lakh crore in many sectors and mean unwinding the insolvency resolution process in some instances, legal experts said. Also on the bench was justice Vineet Saran. Senior advocate Abhishek Manu Singhvi, who opposed the circular on behalf of the stressed power sector, said the verdict would possibly have a knock-on effect on the resolution process, depending on the circumstances in which it was invoked. Incidentally, SC had upheld the validity of IBC in its entirety on January 25. That bench comprised justices Nariman and Navin Sinha. There may be no change with regard to companies that may have anyway gone to bankruptcy court under the IBC process but this will have to be argued before the National Company Law Tribunal (NCLT) benches, Singhvi said. Proceedings will not lapse automatically and instances of companies changing hands in the IBC may not have to be unwound, he said. The order came as a relief to companies in stressed sectors such as power, shipping, steel, telecom, infrastructure, sugar, fertiliser and sports infrastructure, which had blamed extraneous reasons such as regulatory controls that capped prices. They had claimed that the circular treated them like wilful defaulters — those that could repay but didn’t — and narrowed the window within which a bad loan was to be resolved from 270 days as per the IBC to 180 days (plus a grace period of 15 days). The February 2018 circular had directed lenders to refer any loan account over Rs 2,000 crore to the bankruptcy process if it wasn’t resolved within 180 days of default. It also underscored the IBC’s status as the cornerstone of India’s bad-loan resolution framework, scrapping all previous mechanisms, such as corporate debt restructuring, strategic debt restructuring and the scheme for sustainable structuring of stressed assets. The circular also imposed a one-day default rule — a company was treated as a defaulter even if it missed one day of the repayment schedule. This is said to have rattled borrowers and annoyed many within the government, leading to a clamour for dilution. The circular had been one of the key measures the regulator took under the governorship of Urjit Patel, who quit before his term was over amid a dispute with the government over various issues including autonomy. Patel was succeeded by former bureaucrat Shaktikanta Das in December last year. The order meant that “lenders can now use IBC as a tool as per their commercial wisdom and that they are no longer required to initiate proceedings under IBC compulsorily”, said Karan Mitroo of L&L Partners. The bench said the banking regulator could not have issued such a general omnibus order based on the government notification of May 5, 2017, which had only authorised it to issue orders on “specific” defaults. 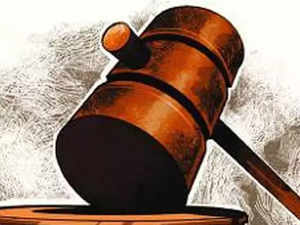 All resolution plans that may have been concluded in the interim in the absence of a court stay on the circular may well have to be renegotiated after a fresh exercise involving all stakeholders, experts said, adding that this could delay resolution proceedings because of the greater discretion given to lenders, impacting loan recoveries. Others said that it also whittled down the regulator’s powers to clean up the bad loan mess. The RBI would have to get government authorisation under the existing statutory scheme for any such omnibus orders. Singhvi said the ruling was “fair” warning to the RBI, which is a “big institution” and must hence function within the “statutory scheme”. The RBI had issued the circular under Section 35AA of the RBI Act as a phased programme to deal with stressed assets. Among the challenges raised against the circular was the requirement that a resolution plan could only be finalised if it was agreed to by all lenders. Any discord would thus make bankruptcy inevitable. The ruling will put Indian lenders on par with foreign lenders as the circular didn’t apply to the latter, said Mitroo. The government had on its part argued during the hearing that it was committed to an expeditious resolution of stressed assets in the banking system, defending the RBI’s powers. But it backed the power sector’s demand to be treated differently and helped back to its feet instead of being forced into insolvency. In a detailed order, the court also drew a distinction between the powers conferred on the RBI under Sections 35AA and 35AB. RBI needed central government authorisation to issue the circular, which it did not obtain, said Dipankar Bandyopadhyay, partner, Verus. The Supreme Court has previously upheld the constitutionality of the IBC and “absent a manifest error of law, it would henceforth exercise restraint while hearing arguments which seek to disrupt the functioning of the Act”, he said.